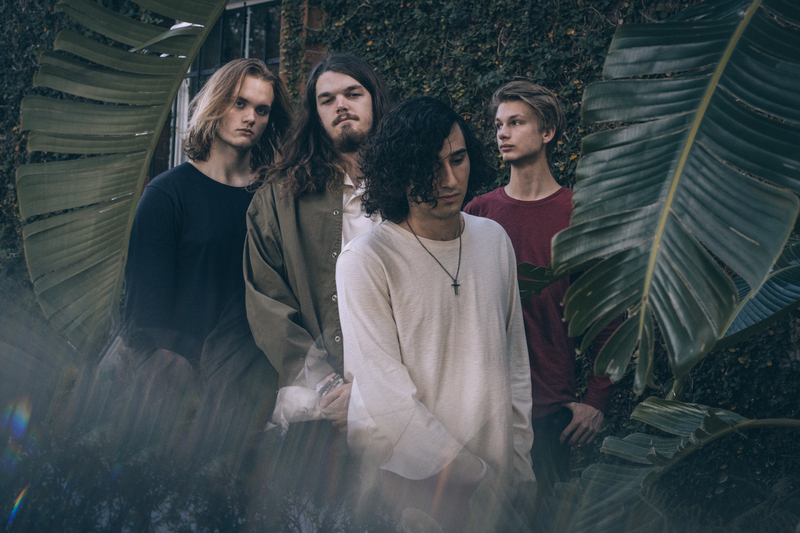 Glass House Point is an indie-rock band hailing from the tropics of Central Florida: a place riddled with abundant sunshine and torrential rainfall. The band formed during the particularly stormy Summer of 2013 and has since cultivated a sound that completely defies the expectations of East Coast music culture. Ambient swells, soothings lulls, and massive bursts of lucid passion put Glass House Point’s music into a category of its own: a category that has yet to be explored by today’s indie artists. The band’s sound is centered around a 4-piece lineup backed by crisp harmonies, synths, and string ensembles. Overall the sound is sophisticated, yet untamed — a quite beautiful contradiction. The band’s past ventures include extensive US tours and the release of their debut record Love Lives in Dark Places (2016). Most recently, Glass House Point has recorded their sophomore EP, Midnight Appetite, with Grammy-nominated engineer & producer, Aaron Gandia. The record was released in October 2017 and is available on all music platforms.